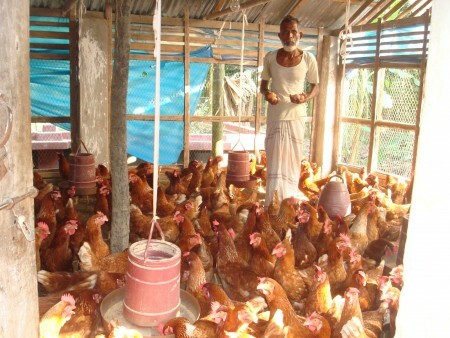 Livestock resources development is one of the most important activity for poverty alleviation, because, most of the rural people are depending on livestock resources. So, VOSD has been emphasizing on livestock development from the inception in 1987, because, the poor rural women are very much involved and practiced with poultry rearing, goat rearing and cow rearing and also cow fattening. It is also a very profitable business and locally very sound and viable. VOSD has been implementing cow fattening, goat rearing, cow rearing and poultry rearing with the support of RABOBANK Foundation-Netherlands and DANIDA/Ministry of Livestock and other donors. It has also been supporting the women members for livestock rearing from RLF and savings fund. So, far 3,33,500 group members has been provided loan for poultry rearing, goat rearing, cow rearing and cow fattening in the operational area.